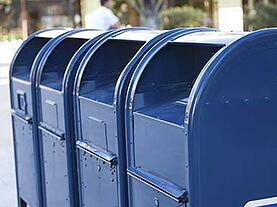 The United States Postal Service (USPS) is in trouble. Postmaster General (PMG) Megan Brennan has stopped the misguided plant realignment and closure program, but service levels remain underwhelming. Congress has yet to begin work on much needed postal reform, or confirm any of President Obama’s nominees to the Board of Governors. In April, postage rates were reduced for the first time in almost 100 years, despite the serious financial situation of the USPS. And last week, more bad news. After months of delay, the USPS made public the results from an employee survey administered by Gallup. Compared to almost 400 other organizations, the USPS ranks in the lowest percentile for employee satisfaction. The bottom 1 percent. While not disputing the results, it’s important to take into account 2 important factors affecting the survey. The plant realignment program displaced workers and brought about the retirement of many long-term employees. Also, only 52% of employees responded, as the unions discouraged their members from participating over concerns about ongoing contract negotiations. However, the numbers are still bad. The response from USPS management has been to increase training and establish an Employee Engagement team. It will take more than rhetoric and education to turn things around. It will take real change. Despite all this bad news, I remain a staunch supporter of the USPS. Outside of the military, it’s the only government agency included in the US Constitution. The USPS is consistently named the “Most Trusted Government Agency” in a public surveys. And, the USPS is the linchpin of a nearly $1 trillion print and mail industry that employees 9 million people. To be successful, the USPS needs to bring in new leadership with a renewed focus on service, employee morale, and an efficient operating model. These challenges aren’t competing priorities, but complementary issues. And bringing in outsiders for key leadership positions may be the only way to be successful. Where do you find a leader willing to take on these challenges? Where would you find someone whose organization has gone through such significant changes during tumultuous times? The same place where many postal workers began their government career – the military. The last several years have seen the retirement of generals and admirals whose service began in the years after the Vietnam War. These people were leaders during the 1970s and 1980s - decades requiring major organizational restructuring, changing focus and overcoming morale issues. Challenges that have only increased over the past 15 years, with service members facing multiple combat tours and a dysfunctional Department of Veterans Affairs. Most importantly, these men and women are committed to public service. The spirit of service to our country must be the preeminent requirement for leaders in the USPS. The USPS is an important part of our government that provides an invaluable service to our citizens. The USPS isn’t a business, but a government agency that should be run like a business. Even if you don’t work in the mailing industry, the future of the USPS will impact you and your business. Get involved and write, email and call the President, your Senator and your Representative. Express your concerns about the one government agency that touches every American, six – and sometimes seven – days a week. Our United States Postal Service is in trouble.